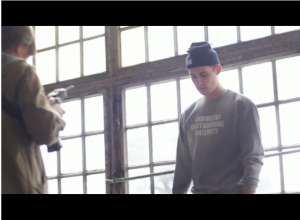 AMBIVALENT Lookbook - Making Of from Ambivalent Berlin on Vimeo. The AMBIVALENT guys are launching their new collection at CIVILIST in Berlin-Mitte on Saturday, 17. Nov. 2012, come by and have a look – the whole collection can be purchased at the store! For more info, check out the FB event here. The AMBIVALENT Lookbook making-of video was made by Philipp Groth, whose first exhibition I was able to curate at Stattbad Wedding last time. Here is some more work from this very talented guy!